Successfully Added Low Cost Cooling Pad For Notepads - 3 Fan Design to your Shopping Cart. 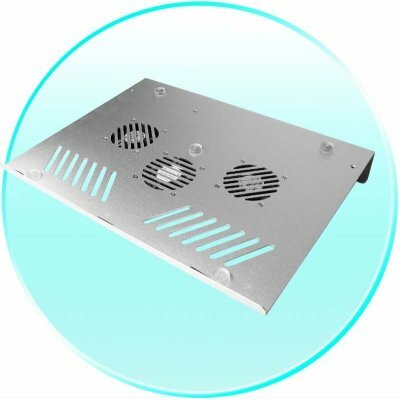 3 Fan design super low wholesale priced Cooling Pad made for use with laptops for keeping its temperature down. The Cooling Pad is made with aluminum, which mixed with the 3 fans pulling the heat away from the bottom of the Notepad, will make sure that your Notepad will operate more efficiently and help extend its lifespan. This low-cost Wholesale item is available though Chinavasions friendly Online Store, and with no MOQ, available Drop Shipping, and quick delivery times, this is a sure fire hot seller for any catalogue..